We welcome you in an unforgettable experience of your life with this Full Day tour (10 hours) from Amalfi, you’ll enjoy the best of our cheese making in Paestum, you’ll have the opportunity to seeing a real demonstration of how to make the famous Italian Mozzarella and to visit the archaeological site of Paestum. Service is provided by a luxury Mercedes Benz car or Minivan with an english speaking driver. 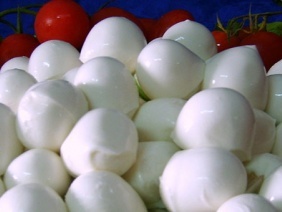 In this fabulous tour you’ll have the opportunity to seeing a real demonstration of how to make the famous Italian Mozzarella, which our cheese-maker has made it nowadays for over half a century, from the first drop of milk to the final product ready for you to taste . 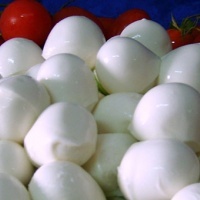 “You’ve never eaten a fresher mozzarella as ours” . We will drive to Paestum to let you have the opportunity to become part of the Italians tradition! After the demonstration you’ll enjoy to taste all our products like Mozzarella, Caciocavallo, Provolone del Monaco and many more cheeses is including bread ,wine and drinks. After the typical products tasting, we will drive to Paestum archaeological site, one of the main centers of the Magna Greece and one of the precious archaeological pearls of Italy, where you will have the chance to visit The Temple of Cerere, Nettuno, Poseidone, the amphitheater and the forum. Find out more on Wikipedia. You can provide us detailed pick-up address via Etindo messagges. It's a full day tour, we suggest to start at 9 AM or 9.30 AM.